We all travel for different reasons – whether it’s for sightseeing, eating, escaping from reality or for work-related trips. Finding a (good) hotel might not be biggest priority you have when planning your trip. You might be tempted to get the most budget accommodation so that you’ve got more cash left over for fun activities like visiting that cool museum. Sometimes, the hotel itself could be the most memorable part of your trip. We’re not talking about your usual run-of-the-mill luxury hotel with 1000 thread count sheets and an infinity pool. There are plenty of hotels around the world that offer much more than a good night’s sleep. Not convinced yet? Take a look at these 10 quirky hotels from around the world that will totally change your perspectives on hotels. How salty is everyone else going to be when they find out that you stayed in a hotel made entirely out of SALT? Hotel De Sal Luna Salada in Bolivia is located on Salar de Uyuni, the world’s largest salt flat, and is a hotel that is made from salt. 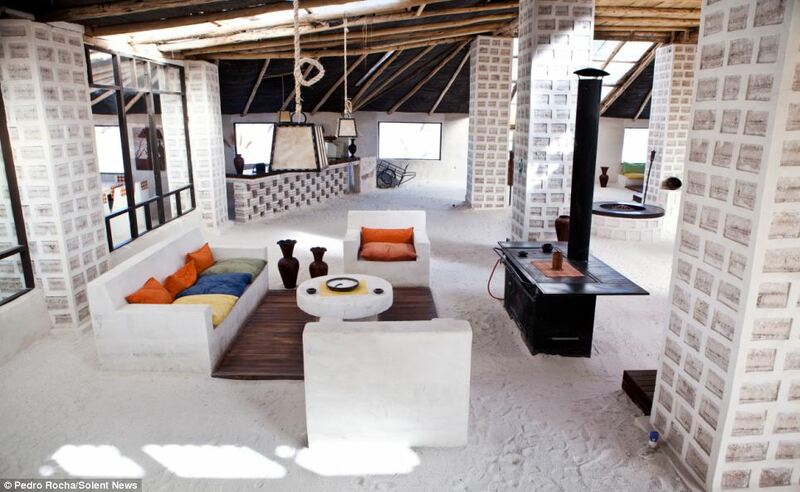 The walls, floors, ceilings, tables and chairs and various other room features are all made from table salt. Even the meals are inspired by salt, and you can expect dishes like salted chicken and lamb. Having too much sodium is not good, but just being near salt can have healing properties like improving your breathing, mood and sleep. You won’t have to bring along your smelling salts because you are literally surrounded by sodium chloride. Just don’t lick the walls, no matter how much you’re tempted to. 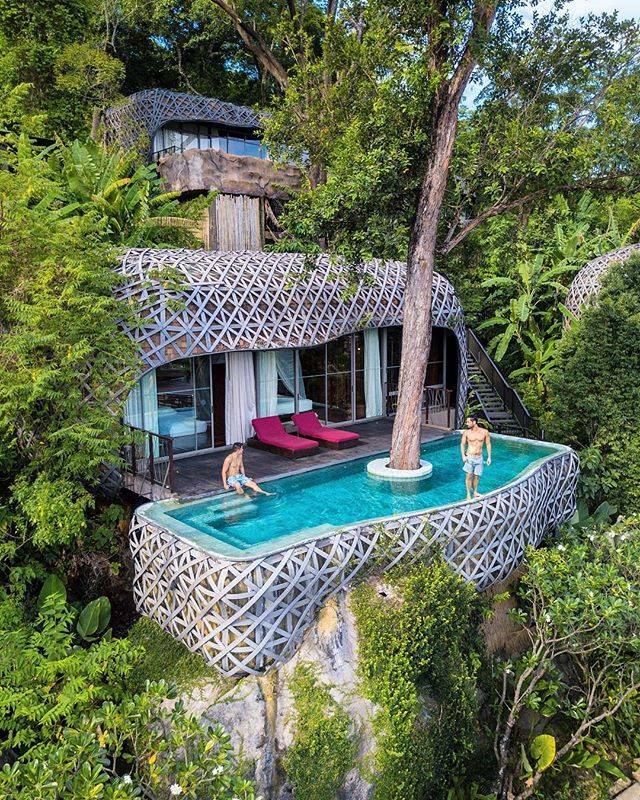 There are plenty of treetop hotels all around the hotel, but we’re loving this one tucked up in the mountains in Phuket. 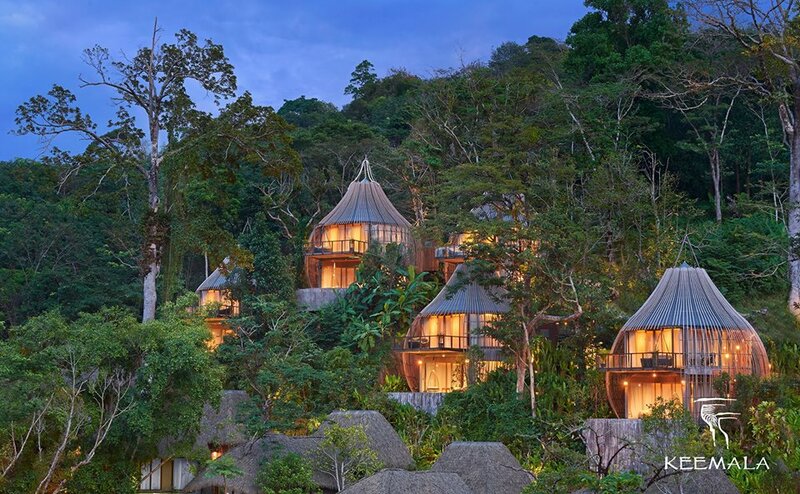 Keemala is a luxury hotel with treehouses, bird nest-inspired pods and villas, all hidden in the trees with gorgeous views of lush greenery and blue skies. No one said that you have to rough it out to be one with nature. The villas even come with a pool, infinity-style. Taking a dip in the trees will surely be a novel experience! If you’re craving the feeling of your toes in sand, Patong Beach is just a 15 minutes drive away. But why would you want to leave when you’ve got breathtaking views, a restaurant, bar and spa all at your doorstep? Have a pint whenever you want straight from the beer tap without having to leave your room! Each room at the Doghouse Hotel & Brewery comes with draft beer on tap, and you can wake up to the boozy scents from the brewery. 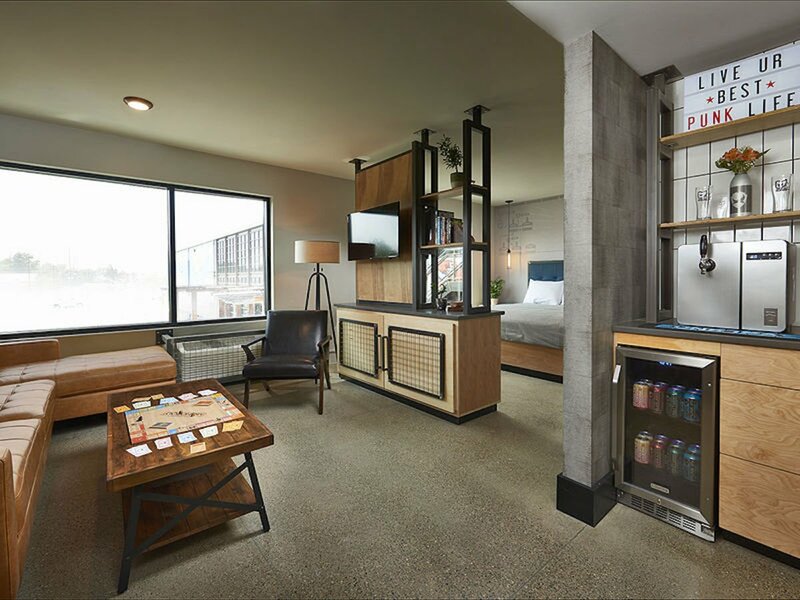 The beer-themed hotel has beer-pairings for breakfast, an interactive beer museum, and is housed inside an actual brewery, where you’ll be able to glimpse the entire production line of your favourite beverage from start to finish. In the toilet and feeling thirsty? 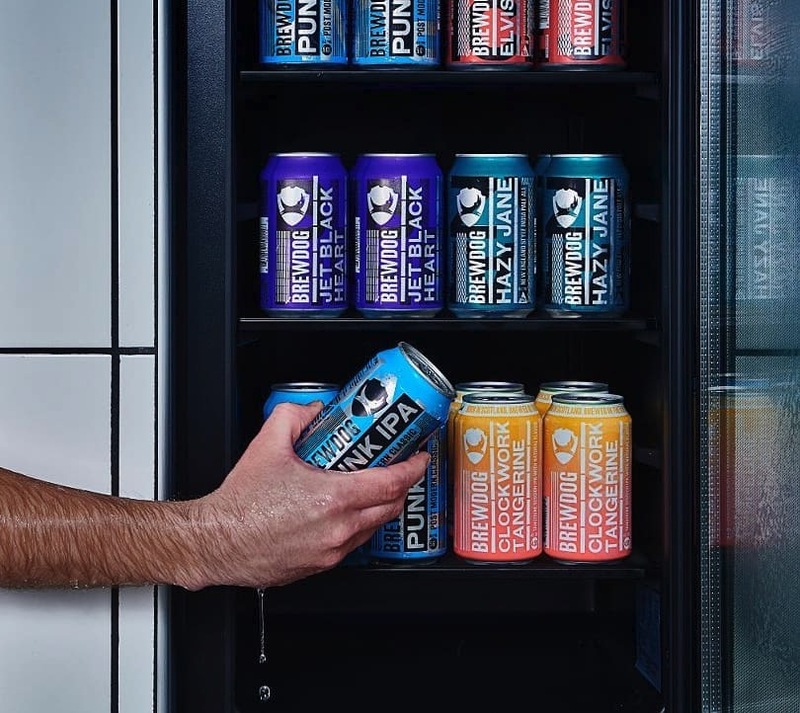 The showers are installed with mini-fridges stocked with beer, carefully curated by founders James Watt and Martin Dickie. Even your soap is beer scented. It’s basically a paradise for craft beer lovers! 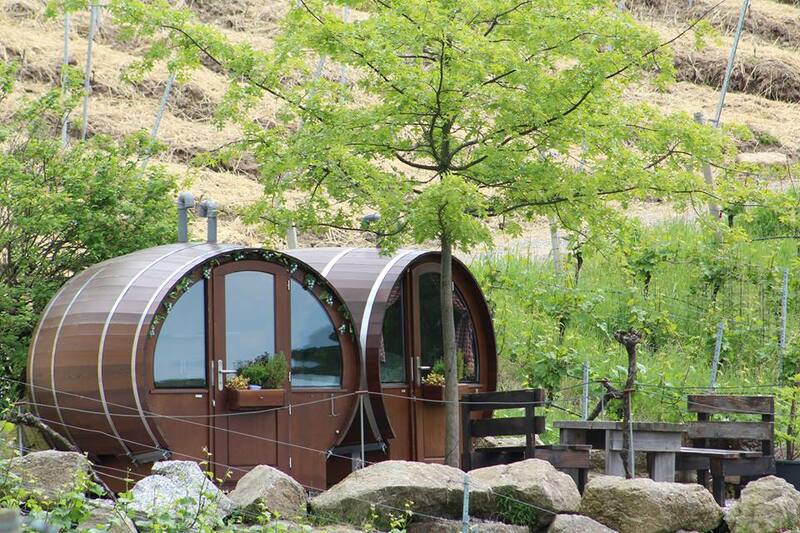 Over on the other side of the boozy spectrum is oenophiles, who can spend a night in a wine barrel. 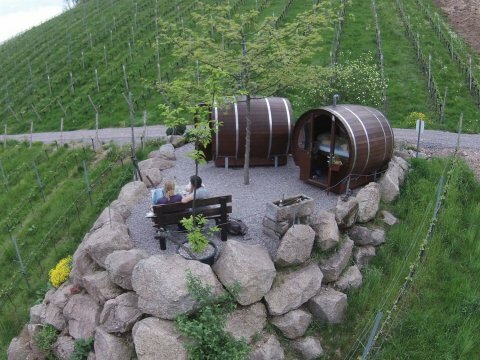 Schlafen im Weinfass is a vineyard in a small village called Sasbachwalden in Germany, and they’ve converted old wine barrels into cozy little nooks where you can stay in them after tasting the best of the region’s wines. This is the only time its acceptable to crawl into a wine barrel for a nap after you’ve had one too many glasses! Choose from 5 different barrels, which are outfitted with everything you’ll need for a good night’s rest, including heaters and a fully functional bathroom. The views from the barrel are also pretty nice – depending on your chosen barrel, you’ll be treated to vast vineyards and mountain scenery. It’s so popular that peak months are fully booked all the way until 2020. As much as we hate to admit it, we all know that robots are taking over the world (and all our jobs). In Japan, there is a hotel that is totally staffed by robots. The best part is that some of these robots are pretty hilarious, like the dinosaur that greets you at the reception because no one said that the robots had to look like humans. 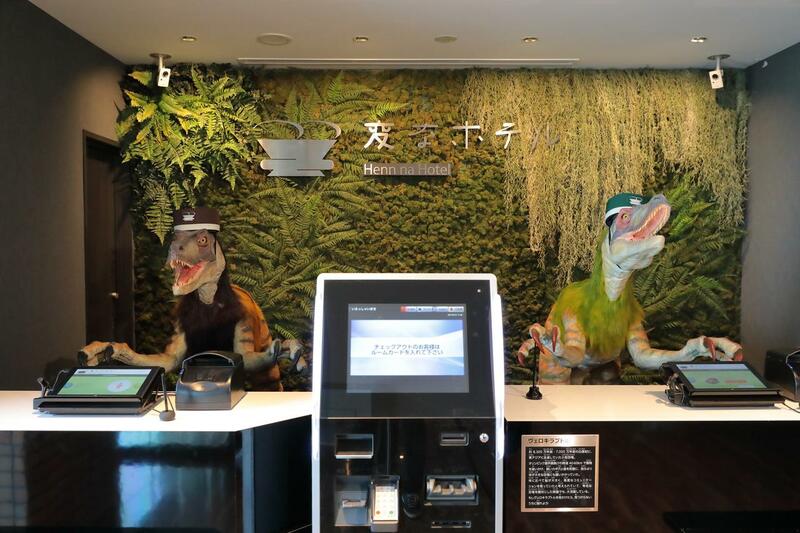 The dinosaur receptionist at Henn na Hotel will help you check in, and you’ll spot other robots running the hotel. 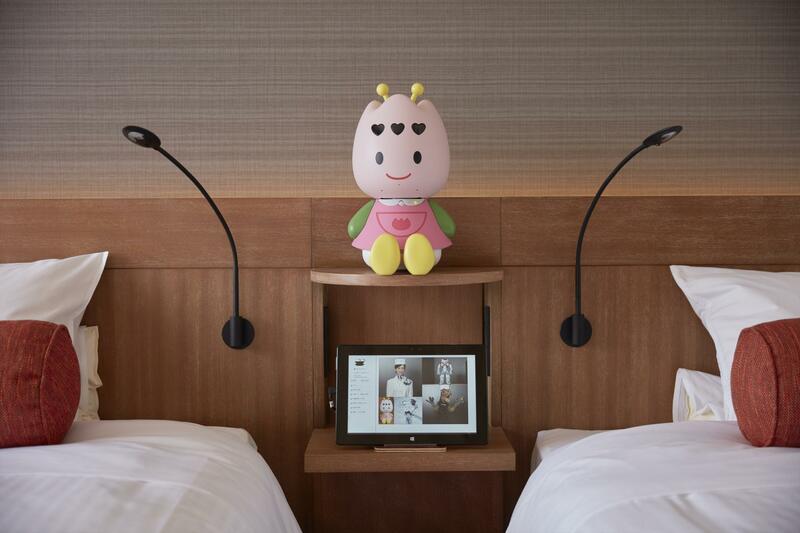 The hotel chain has a few outlets around Japan, and robots in different hotels might differ. Henn na Hotel. Tuly waiting for you in your room . Even your luggage and room service will be delivered by robots. Each room also comes quipped with a butler robot, although thankfully it’s nothing scary and looks like a fat pink tulip called Tuly. Tuly controls all the lights and fittings in your room and answers questions like the time. You won’t have to deal with any humans at all throughout your entire stay, which makes this the perfect place to stay if you’re trying to escape human contact. Sewer pipes are usually undesirable places to spend the night in unless you’re really, really desperate. 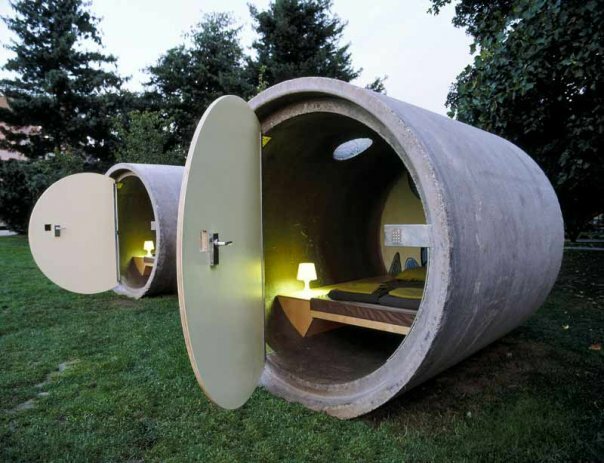 Maybe you got lost or ran out of money when you’re in Austria, you can crash at the Das Park Hotel, which repurposed drain pipes into little rooms. All the rooms are pay-as-you-wish, and you can leave a single Euro if that’s all you can spare. You just need a little luck and hope that there are free pods as there are only 3 rooms up for grabs. Each room has been redecorated, and also has been fitted with power points so you can charge your electronics. 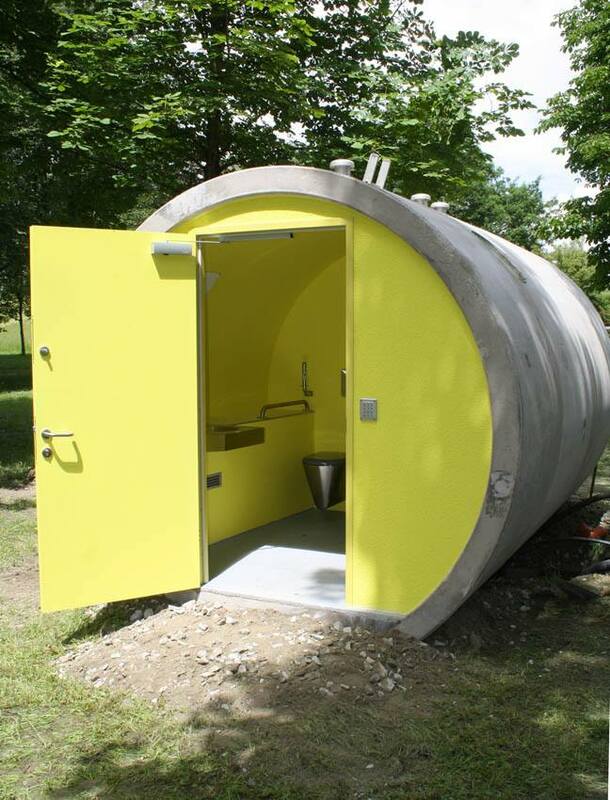 Just because you’re staying in a sewer pipe doesn’t mean that you have to be unsanitary. There are public toilets and showers nearby (although you have to bring your own toiletries), and the area has a lot of cafes and restaurants within walking distance. Old Mount Gambier Gaol. Inside the prison. 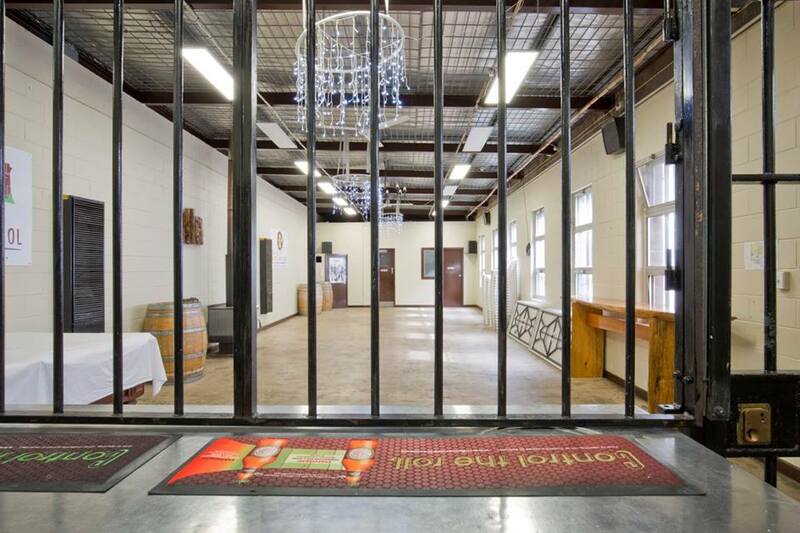 We’re not sure why you would want to willingly stay in a prison, but you can spend a night at the Old Mount Gambier Gaol if you find yourself in Australia. The prison has been closed since 1995, but has since been converted into a boutique hotel. Sleep in cells where prisoners used to be held in and pretend that you’re in Orange In The New Black, or there are non-cell rooms if you’re too scared. Old Mount Gambier Gaol. The exit for the courtyard. 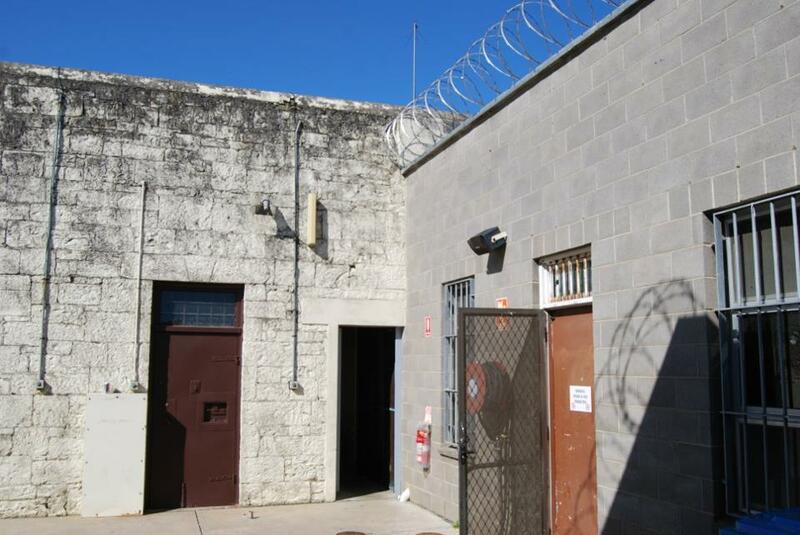 Life at Old Mount Gambier Gaol won’t be too tough though, as the prison has been refurbished and internet access has been installed. In fact, most of the rooms look pretty modern, so it’ll take a bit of imagination to imagine yourself in a prison. Maldives has plenty of resorts that sit on the water, but you’re usually in close proximity to other guests. 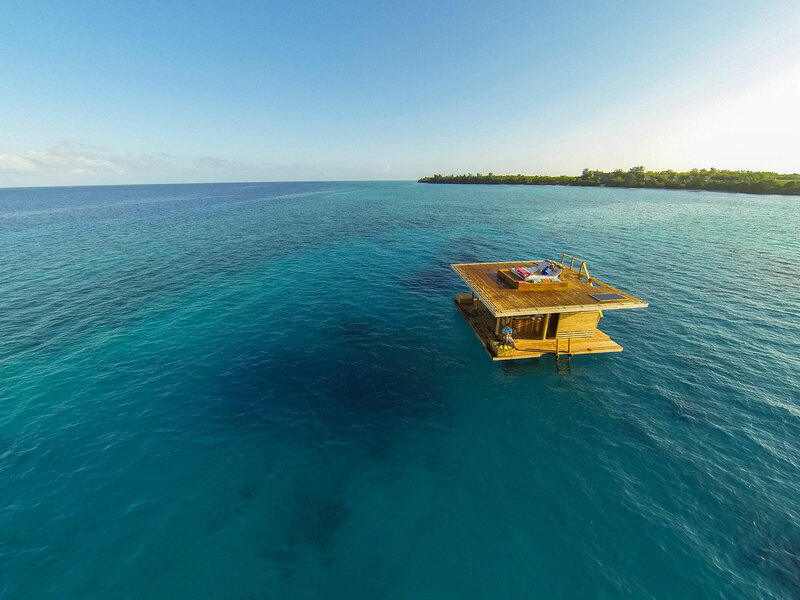 At The Manta Resort in Zanzibar, your floating room is the only one at sea with only the corals and the occasional marine animal for company. 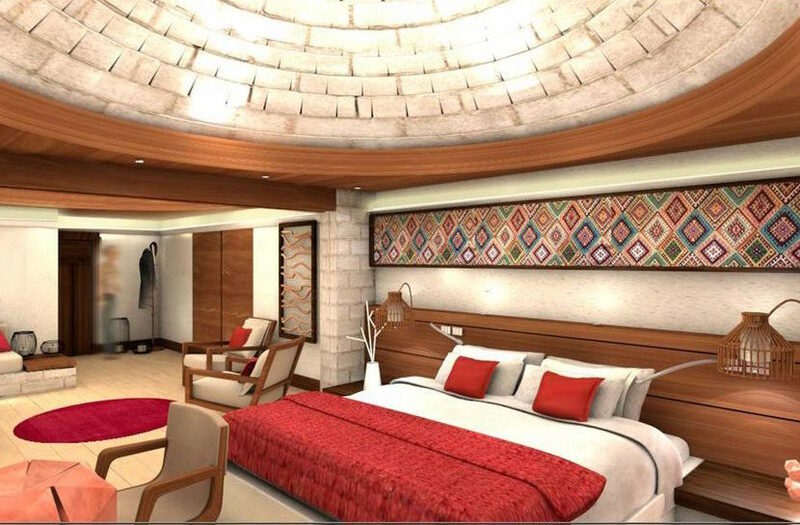 The room has three different levels – the roof, the landing deck, and the underwater bedroom. Sleep under the stars or underwater with a 360° view of the sea. You won’t float away as the room is anchored to the sea ground, but you’ll get the same buoying sensation as if you’re on a ship. Don’t worry too much as there will be a security guard anchored nearby, and all your meals will be delivered to you via a boat. Washing up will be exciting as there is an open-air fresh water shower with gorgeous sea views all around. Sala Silvermine. 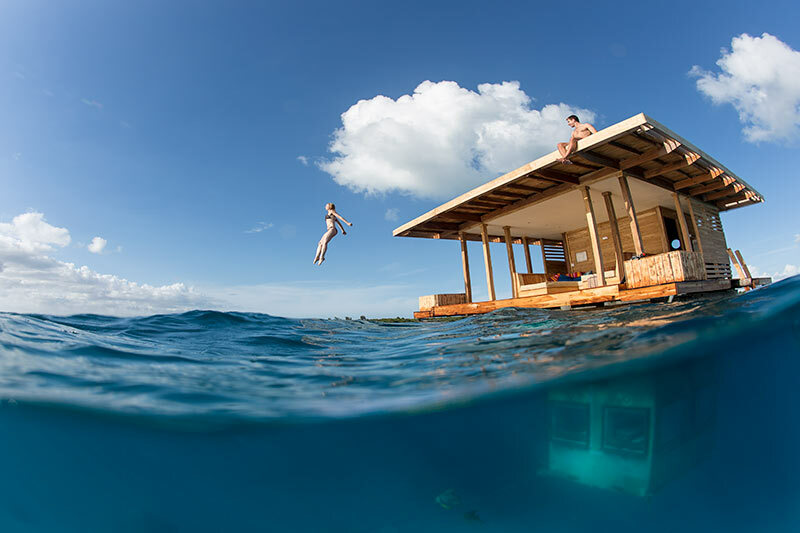 World’s deepest suite. Dive deep underground at Sala Silvermine, where you get to visit old mines and even stay underground in one of the tunnels. 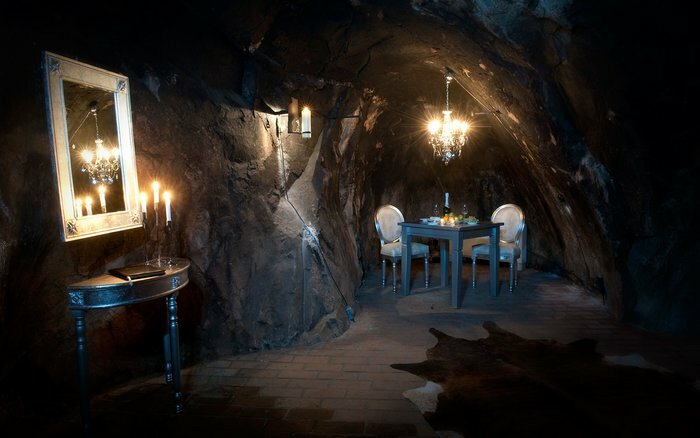 During the day, there are guided tours into the mines, and a couple of underground suites located 155m underground. You’ll be so deep underground that even phone signals won’t reach you – you’ll be truly off the grid. 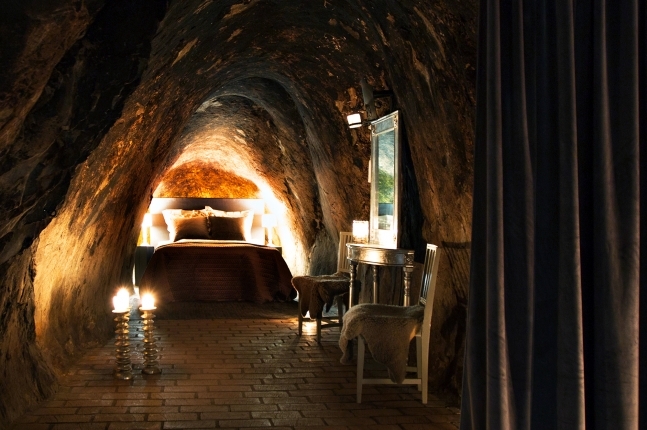 The underground suites are adorned with silver furnishings and lit with plenty of candlelights. Oh, and it’s cold too with the temperate hovering around 2°C all year round which means that you’ll have to cuddle up to stay warm. Super romantic we say, and just nice the room can only host two people. And of course, if you don’t enough moolah to go overseas, why not have a staycation at the aptly named Wanderlust Hotel? Choose from 29 rooms, all with a different theme to transport you away from reality. 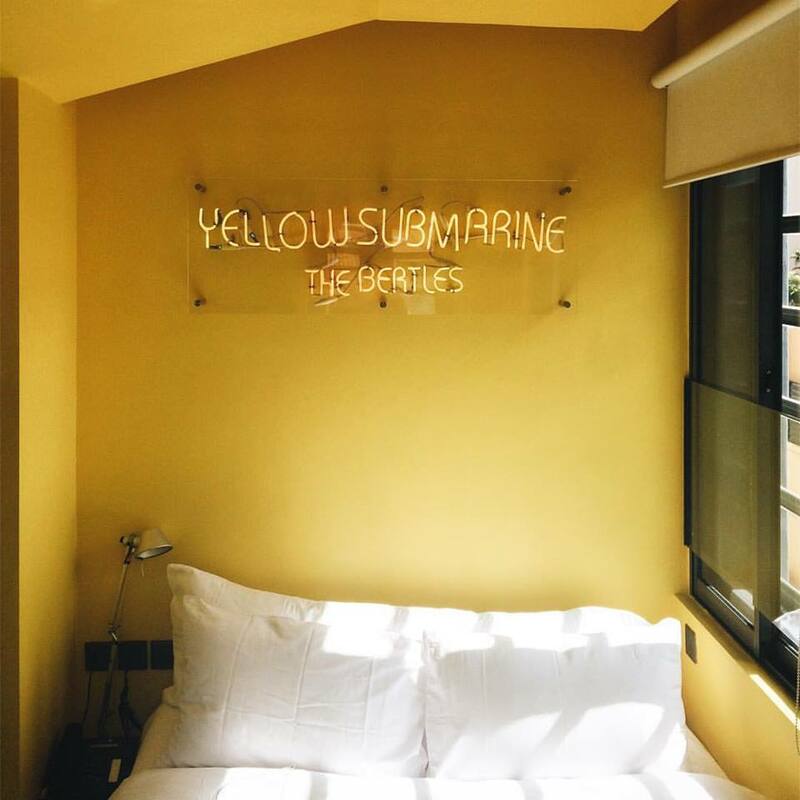 There are pantone rooms, a treetop inspired house, a space-themed room, and even one room dedicated to the legacy of hit song Yellow Submarine by The Beatles. Wanderlust Hotel/ Facebook. Beatles inspired room. While the rooms might seem a little pricey compared to a chalet staycation, it’s certainly much more fun than a regular luxury hotel that has a run-of-the-mill room. 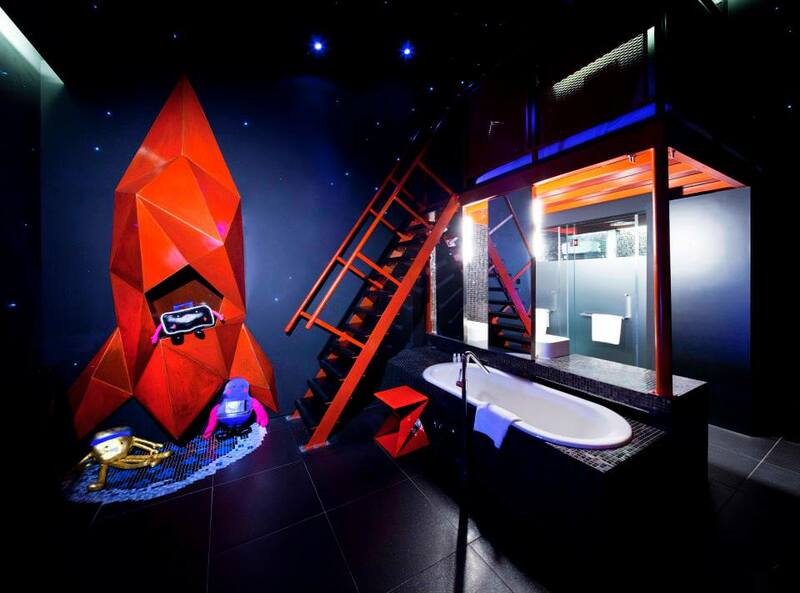 The rest of the hotel is also very Instagrammable, with a psychedelic jacuzzi and colourful walls. You’ll feel like you just stepped out of Singapore for a night!